I recently traveled to Wales to visit my fiancé, Gareth’s, family. During the trip I had the opportunity to sample many kinds of foods- and also see the foods that others ordered! Since this is my first Food Journeys post, I want to clarify that although these are not necessarily FBB friendly, they are great inspirations for new FBB recipes. I think that traveling is always a good opportunity to taste foods and flavors, even if they are indulgent. It’s all about moderation! 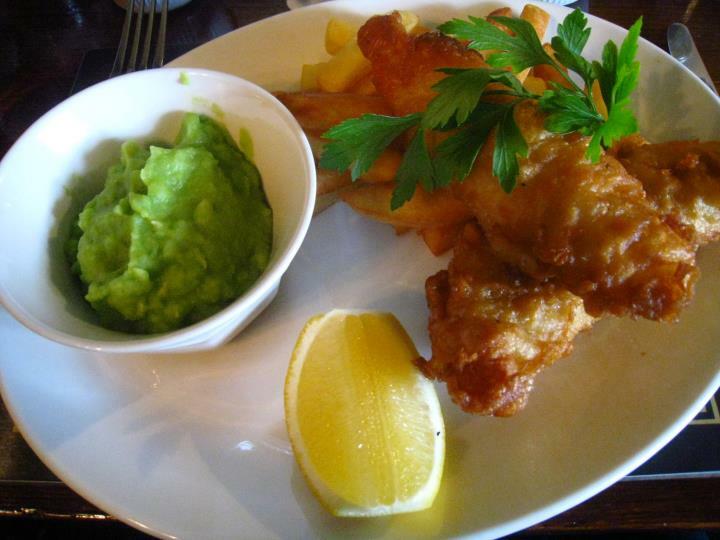 Fish & Chips: A classic dish! I ordered this at The Bear in Crickhowell, Wales. 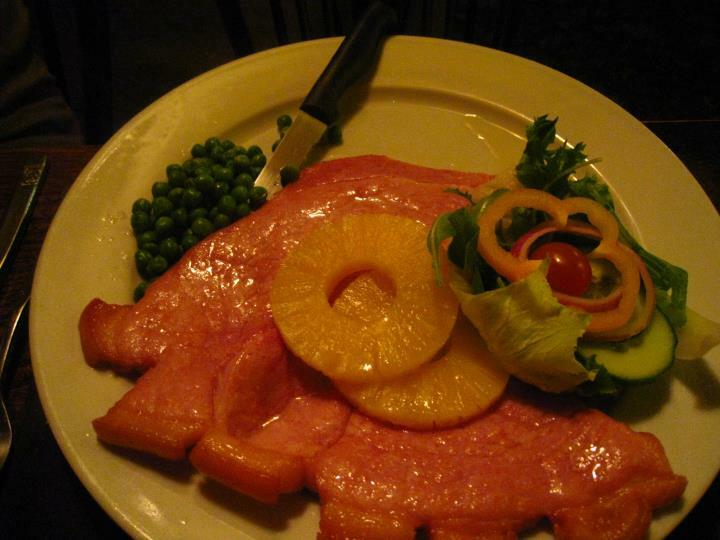 (www.bearhotel.co.uk) It was served with a delightful side dish called mushy peas! 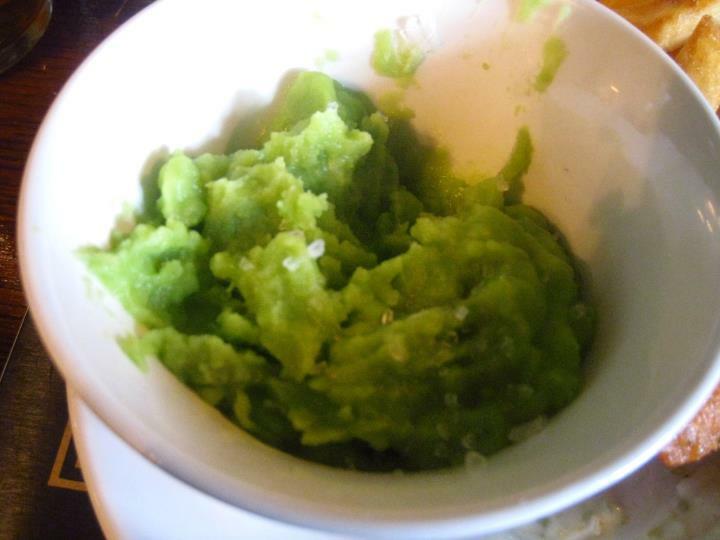 Mushy peas are mashed peas with the consistency of mashed potatoes.They are the best. 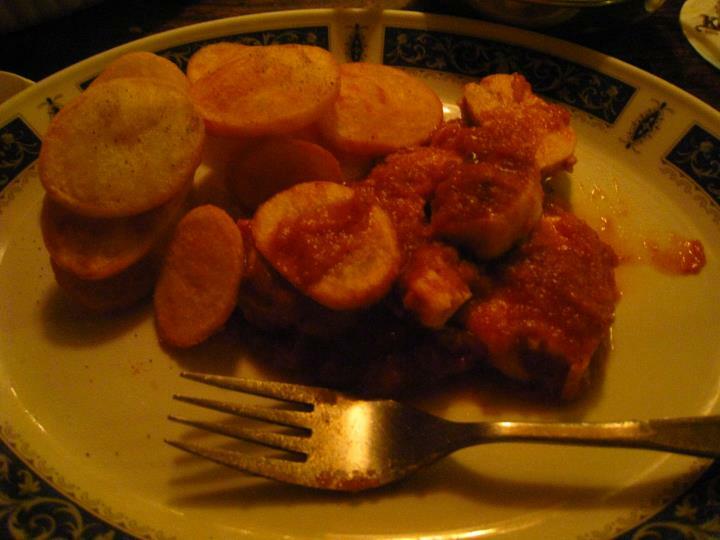 Chicken Curry & Potatoes: This was my entree when we ate at the local pub, Dragon’s Head Inn, in Llangenny, Wales. Not the curry taste I was expecting, but it was an interesting and new flavor. It was much more subtle than Indian curry, more of a tomato base with a hint of curry. 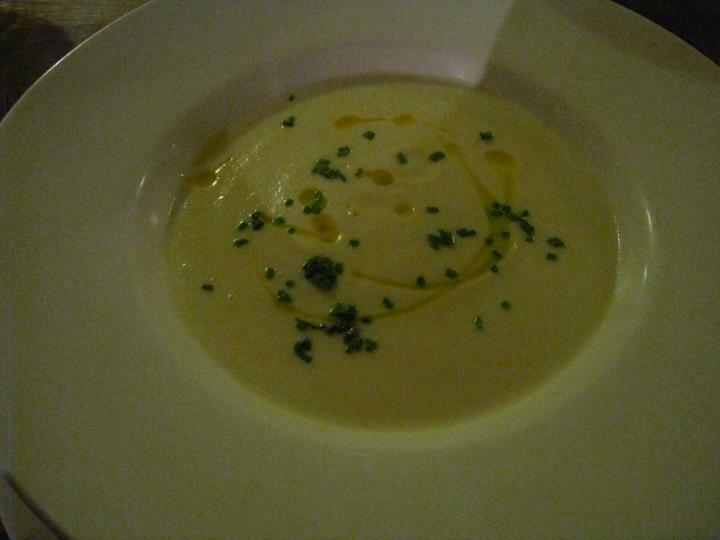 Califlower & Welsh Cheddar Soup: I ordered this soup as my starter at The Hardwick in Abergavveny, Wales (www.thehardwick.co.uk) It was the perfect soup for a chilly summer night. 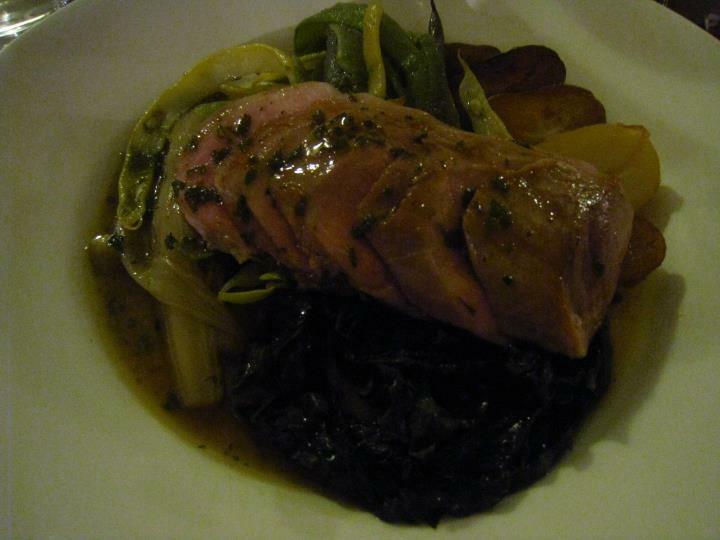 Pork Loin: I ordered this at The Hardwick as my entree. It was well balanced, subtle and fresh. Pigeon: Yes, you heard me. Pigeon. Gareth ordered this as his starter at The Hardwick. I couldn’t bring myself to taste it. 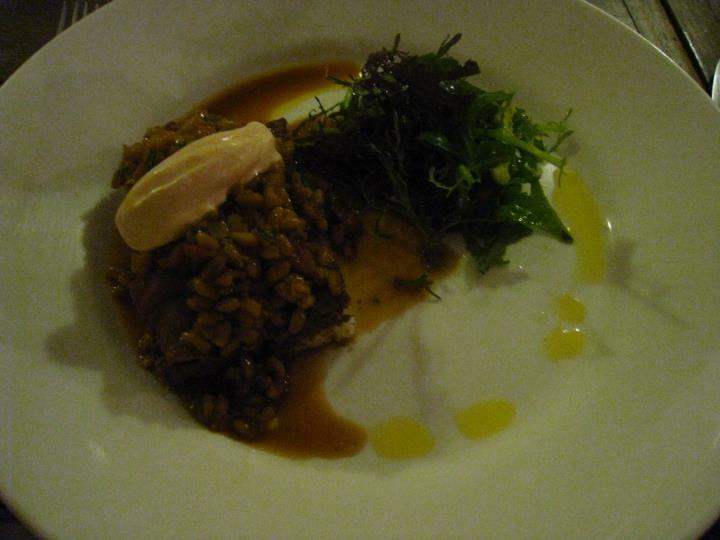 Full menu description- Local Pigeon Breast on Bruschetta with Chorizo, Farro (spelt), Sherry Vinegar and Crème Fraiche. Toad-In-A-Hole: Both Gareth and his sister Sam ordered this for lunch at Three Tuns in Hay, Wales. 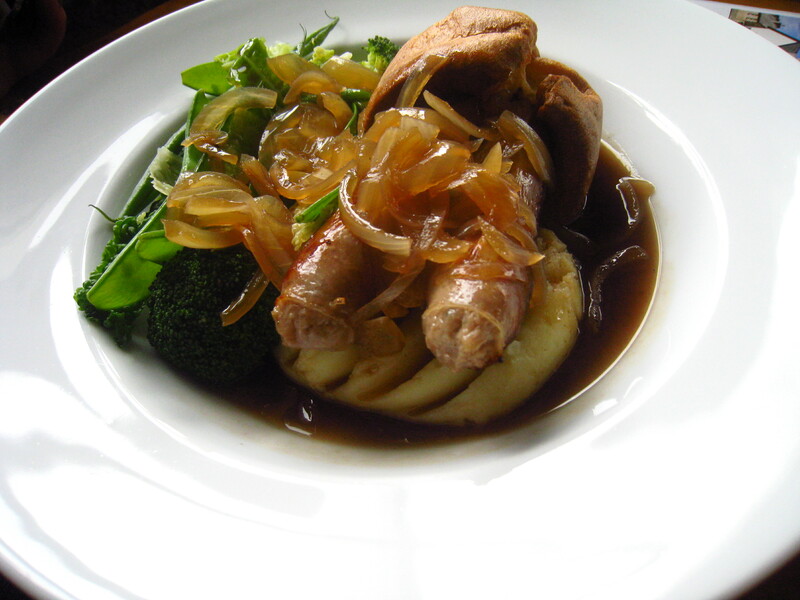 (http://www.three-tuns.com) Toad-in-a-hole is a traditional English dish made with sausage, Yorkshire pudding, gravy and mashed potatoes. 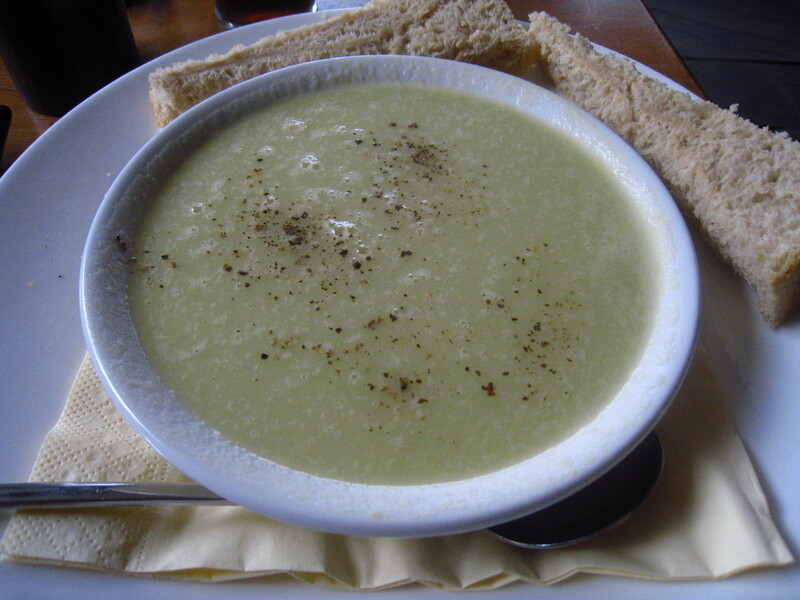 Potato & Leek Soup: This was my lunch order at Three Tuns. It was simple and yummy. 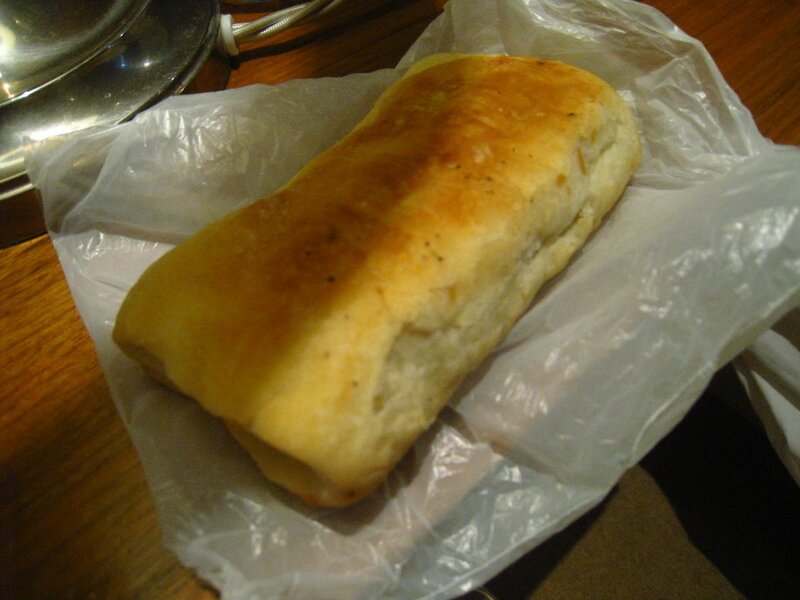 The Infamous Sausage Roll: A sausage roll is essentially a piece of sausage wrapped in a bread-like crust. I bought this sausage roll at a bakery in Hay, Wales, because I really wanted to try a traditional sausage roll. Unfortunately, with all the other good food we had, I never got around to eating it! We even took it with us to London in the hopes we’d eat it on our train ride, but we had to throw it out.